by Maryanne H. Summer is fast approaching, and with it a change in scheduling. Kids will be out of school, families will be traveling. And in all of the fun disruption, devotional time will require its own flexibility. The long and free weeks of summer are a great opportunity to re-group and gain new direction. Why not consider joining a short summer study, beginning a new personal Bible study or organizing a book study for a group of friends? Here are five books for personal and group study, that are appropriate in length and level of study for a summer focus. Don’t we assume a negative connotation of the word discipline? Oh no, we think. Legalism. Yet, Disciplines of a Godly Woman could not be further from a rules-based approach. Barbara Hughes has produced an excellent resource in her book. Disciplines approaches various angles of Christian growth – church, Bible study, marriage, contentment. And the author provides encouragement and guidance as to how to become more disciplined and committed within each of these realms. 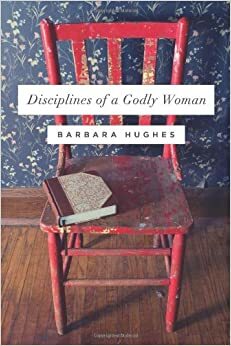 I would easily recommend Disciplines of a Godly Woman for both personal and group study. Though the title is a little misleading, Linda Dillow’s excellent book is more a study on contentment than anxiety. Having spent many years raising a family as an overseas missionary, Dillow has a wealth of experience in learning contentment. Why are women prone to discontent? What does God say about contentment? How can we develop a renewed sense of contentment in our lives? Linda Dillow has wrestled and attained a wisdom and beauty that comes from learning that Christ is enough. 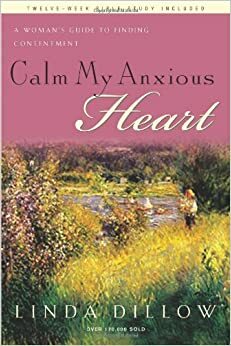 Calm My Anxious Heart is another book I would recommend as an excellent personal and group study. 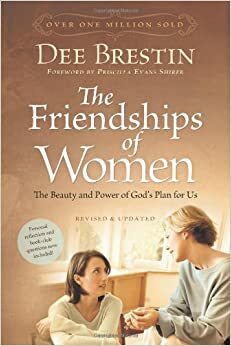 Dee Brestin’s book The Friendships of Women is a book which is both useful and broad in scope. After all, what woman does not relate to issues of friendship – the desires, the pain, the tensions, the inevitable conflicts? Woven throughout Brestin’s book are personal accounts, helping to make the book identifiable. And within each chapter are thoughtful questions which allow for personal evaluation and reflection. And it is especially helpful within a context of varying church backgrounds. Because the book is topical in nature, it can be easily appreciated by anyone. But as a leader, there is wide opportunity to insert extra biblical content, if desired. The Friendships of Women is a book I would highly recommend for group study. Who does not feel desperate sometimes? Like life is full to the brim with tensions and burdens? Desperate is a book which meets women in the feelings that can propel us into shame, and gives credence to why we feel overwhelmed. Why we feel burned out. Why we struggle at times to love our families. 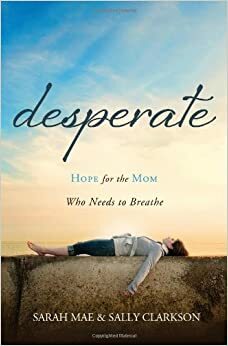 Far from being a to-do-list book, Desperate is a walk through Sally Clarkson’s own experiences as a young mom. And with the amazing grace that is characteristic of Sally, Desperate guides and motivates. Sally is a question-asker. And she expects her reader to consider her questions and to do something with the resulting answers. Desperate is a wonderful personal study. However, I think it would also be valuable in a group setting, in which friends want to support and keep one another accountable. Why are family traditions important? Why does it matter that we cultivate and honor traditions within our homes? 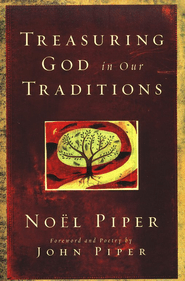 These are the questions Noel Piper asks in her inspiring book Treasuring God in Our Traditions. If you are seeking to establish traditions within your own home, and wonder how to make a rich memory-life possible, this is a helpful read. Because Treasuring God is a book that inspires creative thought and interaction, I think it would be a fun book for group study. There is much scope for comparing notes and sharing ideas. And room for propelling one another along in establishing rich home-lives. Enjoy growing in your walk with God. And this summer, consider asking others to join you! Interested in joining other women for fellowship and encouragement this summer? Consider joining us on Tuesday evenings beginning June 10 for a study of Tim Keller’s The Prodigal God. Click here to find out more about our Women’s Ministry Bible studies. 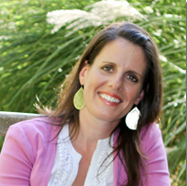 Maryanne is married to Pat and is mom to four children, ages 4 to 11. In her spare time she enjoys writing and running. Maryanne enjoys encouraging women in their relationships with the Lord, and hopes to always be busy enough to stay out of trouble, but available enough to be useful to the women around her. She and her family have been back at ECPC since 2010. She can be found at her blog, For Your Tomorrow, where this article first appeared. It is used with permission.